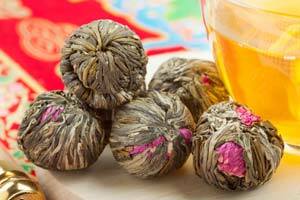 Flowering tea originates from the Yunnan province in the far south east of China, known for several different types of tea including Pu-erh. 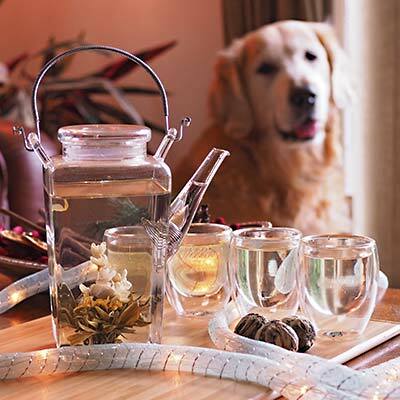 The history of flowering tea is not entirely clear, some believe it to be a modern creation whereas others trace its existence back hundreds of years. 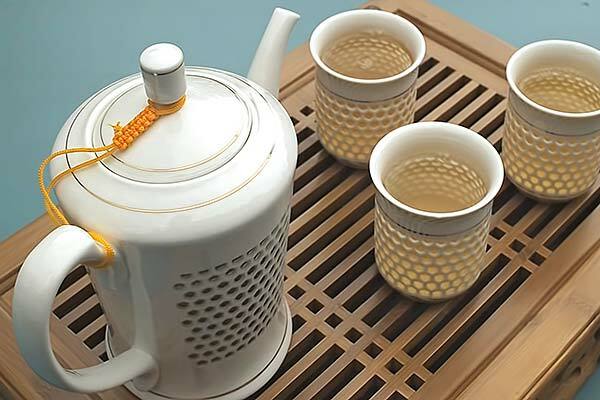 Also called blooming tea, some believe it was used as long ago as the 10th century when the art of shaping and displaying tea was used in the royal courts of China, although purely for visual purposes, rather than drinking. 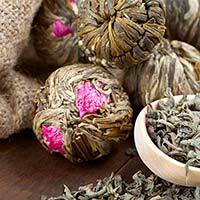 What exactly is flowering tea? 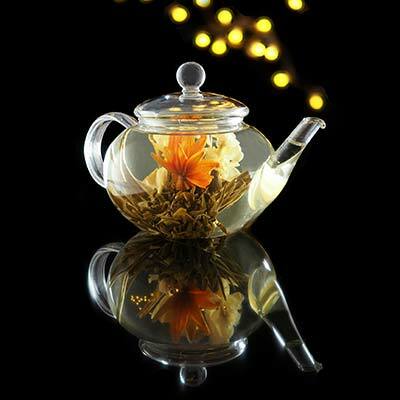 Flowering teas, also commonly referred to as display tea, blooming tea, blossoming teas, hand tied teas, art teas and performance teas, are artistic arrangements of tea and flowers that open into beautiful floral displays when brewed. 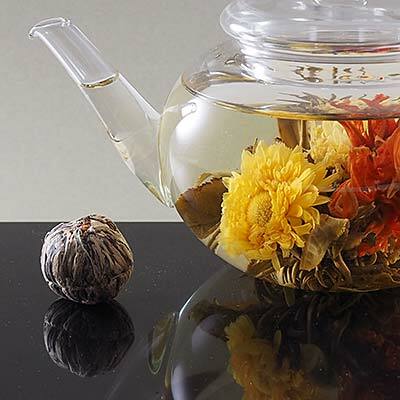 Flowering teas come in a bud or bloom, which initially looks fairly unassuming, but once hot water is poured onto them they blossom into the most beautiful floral display, giving you the 'wow' factor and a delicately flavoured beverage too. 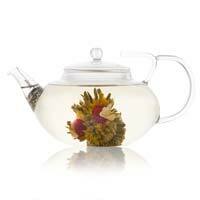 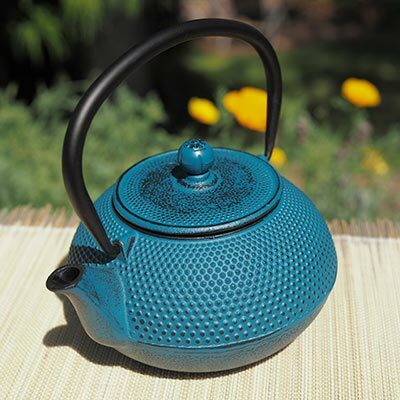 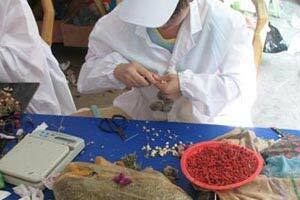 Each flowering tea blossom is handmade by artisans in China. 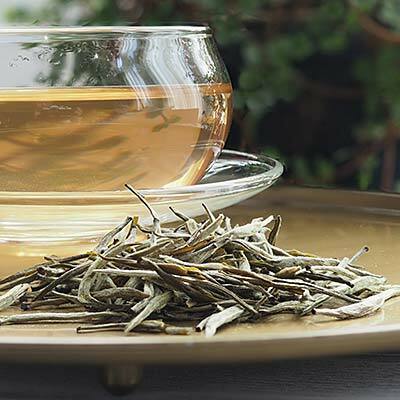 Fresh silver tea needles, either green or white, are carefully sewn into fresh flowers before being wrapped in cotton yarn and fired. 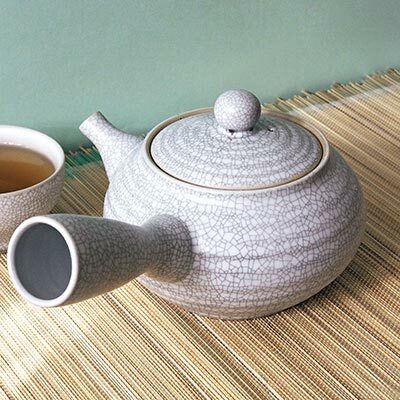 The craftsman then adds flavour to the blossom (for example jasmine or mango) before baking it a further five times. 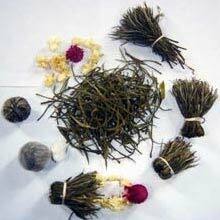 The flowering tea blossoms are then individually sealed and packaged to ensure their freshness. 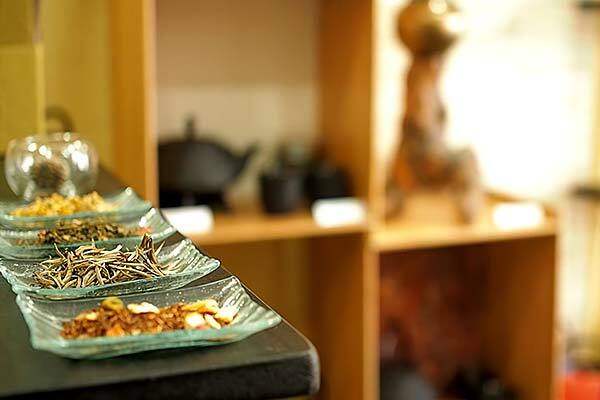 Flowering tea artists believe their creations symbolise love, happiness and prosperity, therefore picking only the freshest, high-quality teas and flowers to carefully create their blossoms, taking great pride in their work. 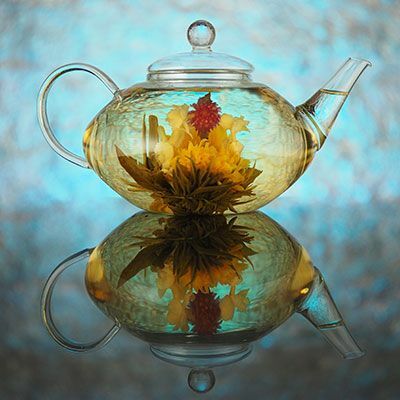 Each flavour of flowering tea has a unique design, ranging from a simple flower posy to intricate flower arches and bouquets â providing a stunning display perfect for wowing guests with.